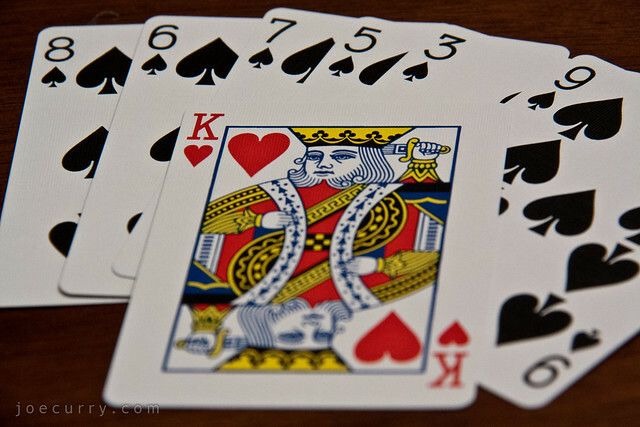 The King of Hearts is the only king among his Bicycle brethren that has no mustache. He also appears to be stabbing himself in the head. Maybe he didn’t play his cards right and couldn’t get Jenny’s number?